Excellent buying opportunity on this Energy Efficient Home. $45,000 in owned solar panels installed 2017, Radiant Barrier Insulation, Dual Pane Windows, New A/C unit 2011, LED Interior Lighting, Ceiling Fans Throughout and Plantation Shutters. There are 3 bedrooms, 1.75 bathrooms and 1872 square feet of living space. 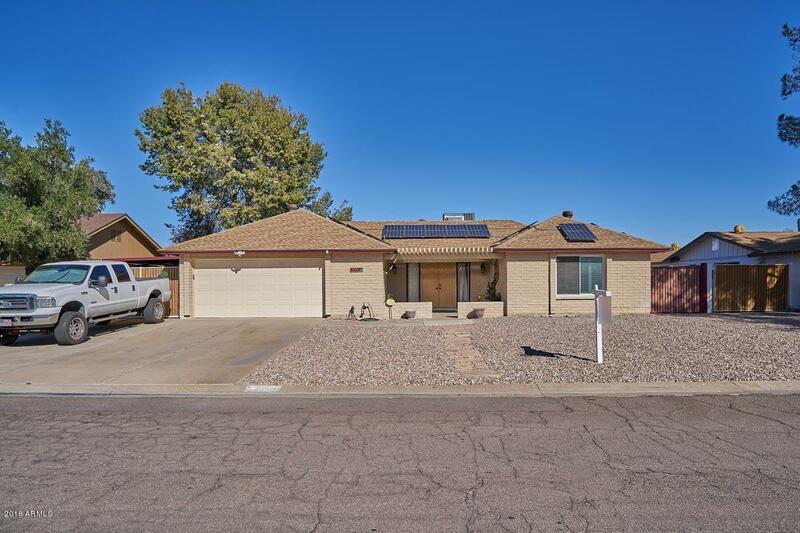 The split floor plan offers beautiful updated bathrooms, plus a large living room, formal dining room and family room that leads to a open kitchen with granite countertops,upgraded cabinetry, stainless steel appliances and an island/breakfast bar. 18'' travertine flooring. New Carpet. 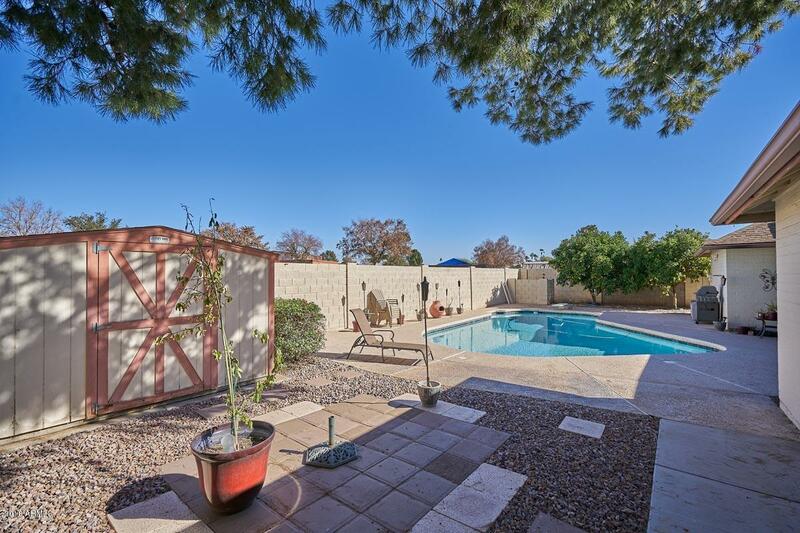 Master bedroom offers a walk in closet and doors leading to a beautiful covered patio. 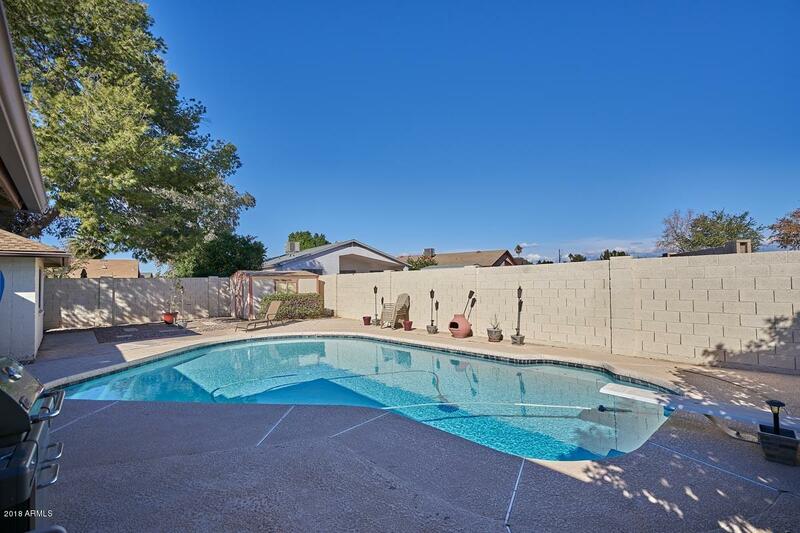 Entertainers backyard awaits with a large covered patio, wet bar and a sparkling diving pool.